Dental assistant training should include a variety of skills. 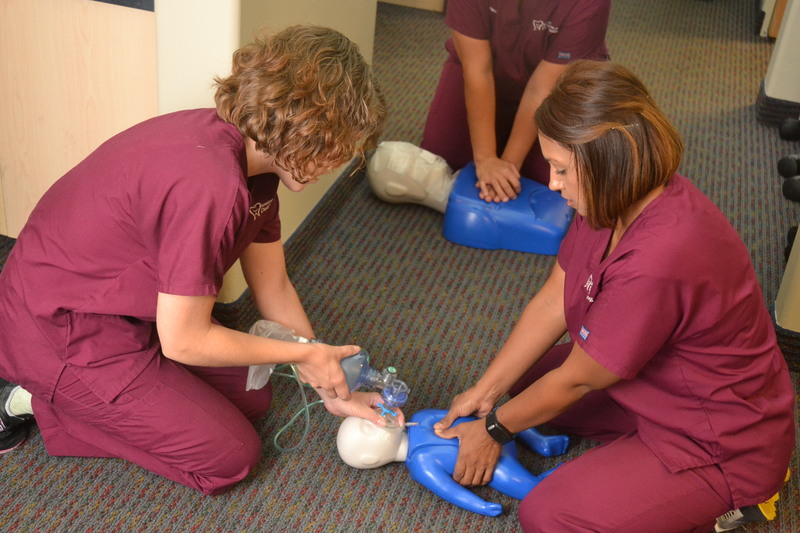 At the American Institute of Dental Assisting, part of our dental assistant training is CPR. Our students are CPR trained and certified as a part of their dental assistant training. This training is very important to us and we take it seriously. People who work in dental field may never need to use a life saving procedure such a CPR, but they must still be prepared. In rare cases, a patient may have a reaction to anesthesia or have another health issue that will become aggravated by a dental procedure. If an emergency does occur, the staff needs to act quickly in order to help give the patient the best care until emergency personnel arrive. CPR procedures sometimes change as science advances and we learn more about the human body. This is why we hire a team of professionals to come in and teach CPR to our students as part of their curriculum. 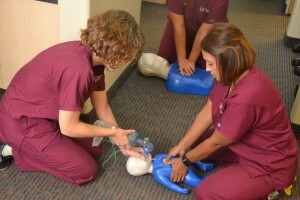 The students will be taught the most recent and up to date techniques in CPR and emergency life saving procedures. Students will be able to practice these procedures hands-on with training dummies. We know that a hands on approach is the best way to learn, so we know how important it is for students to have the opportunity to practice the CPR they have learned. Being able to practice now will help them to be better prepared if an emergency were to arise. As part of their dental assistant training, students will leave with a CPR certification as well as their dental assistant certificate. Although CPR training is not required to become a dental assistant we believe that dental assistants should be taught and prepared in many ways. By training our students in this extra step, they will be prepared if an emergency were to arise. And we know that will make them a better, more valuable dental assistant.